Welgemoed Trout Lodge offers guests 2km of exclusive fishing, the perfect locale for a quick pre-dinner cast during the evening rise. It’s a well-known fact that the surrounding area boasts some of the finest wild trout and yellow-fish fishing in the country, with both putting up a good fight. The trout here were introduced into these river systems over 80 years ago, and today they breed naturally averaging between 10 and 14 inches, with the occasional 18 to 22-inch monster lurking in the deep undercurrents. 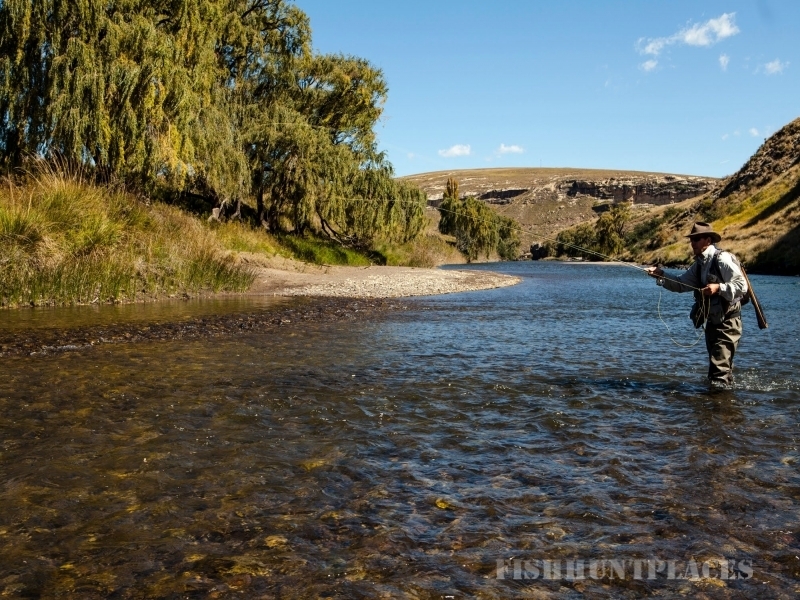 With over 300km of pristine, crystal-clear river frontage in the Rhodes and Barkley East districts, pursuers of this most challenging angling pursuit are literally spoilt for choice.